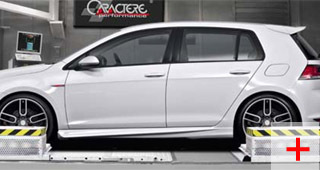 Caractere designs and manufactures bodykits for the Volkswagen Golf; this site has a bodykit for the Golf III by Caractere dated to 1993 - (note* as of April 2016 the Golf III package by Caractere has been discontinued and is no longer available) that goes back to the days before websites to be exact! 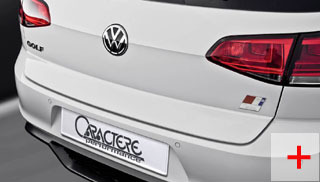 Caractere has been at this for a long time and designs styling kits for other German marques including Audi and Porsche. From the beginning, the company has relied on deep industry experience when it comes to design. The owner and founder, Alain Huard was at it well before 1993. That counts for a lot - passion for one's work will inevitably affect everything that follows. 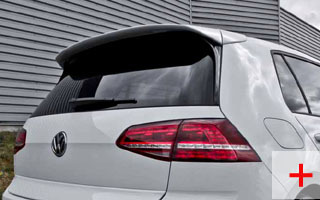 What has followed (and LLtek has been importing his work into North America from Europe since 1996) is consistently above-the-rest body kit styling for car enthusiasts. The enthusiasm for quality (that's spelt with a capital Q) coupled with premium manufacturing materials, testing and certification add up to credentials that have all contributed to the creation of an impeccable reputation for fitment and durability. The VW Golf Mk 7 is a great example of engineering and the Caractere styling package will do it justice ... and then some. Caractere and LLTeK have worked together for many many years. 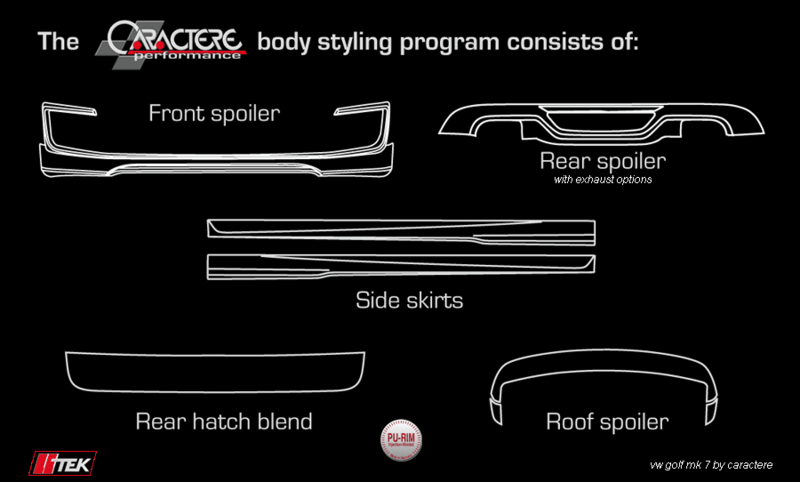 Our knowledge and combined experience in body kit styling is unsurpassed when tuners need to know. Call now with your questions about this styling program - LLteK can be reached toll-free in North America at 1 888 465 5835 or internationally at 001 514 733 6333 during business hours 8:30 Am - 5:00 PM ET in North America (GMT -5). 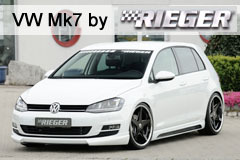 In addition to the parts shown in the diagram above for Caractere's Golf Mk 7 project completion - there is also a grille. 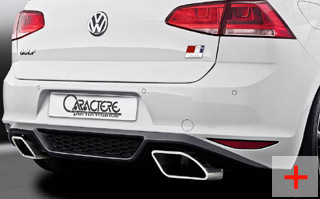 Tuners who already have an installed aftermarket exhaust - This is your choice! Cut the exhaust port to match your exhaust system at time of installation.